StageBuzz.com: Planet Connections Interview - Alicia Barnatchez and Erin Leigh Schmoyer of "Ye Elizabeths"
Planet Connections Interview - Alicia Barnatchez and Erin Leigh Schmoyer of "Ye Elizabeths"
Alicia Barnatchez is an Actress/Writer/Improv-Comedian living in Brooklyn. Select credits include Five Women Wearing the Same Dress (Wow Cafe), Work: A Play (where she was also a contributing writer), The Kentucky Goblin Siege (both with No Tea Productions), and the Eliot Norton Award winning P.S. Page Me Later (Boston Center for the Arts). As an improvisor she has performed with ImprovBoston, The Tribe, and she is a performing company member of the improv group, ComedySportz New York and can be seen performing with them on Saturday nights. She recieved her MA from NYU in Educational Theatre and works as a Teaching Artist. 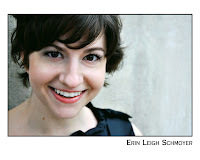 Erin Leigh Schmoyer is an actor/writer/voice-over artist/comedienne, living in Brooklyn. Post-graduation from Sarah Lawrence College and The British American Drama Academy, she has been featured in Off and Off-Off Broadway productions at over a dozen theatres, including The Milagro, The Producers' Club, The Workshop Theatre, La Mama, The Algonquin and Theatre for the New City. 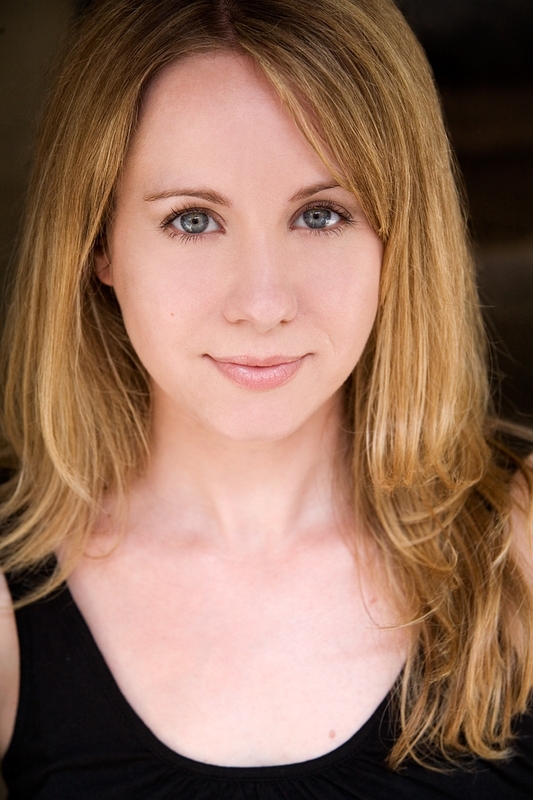 Erin Leigh was seen most recently in From Rags to Riches, at the Metropolitan Playhouse, a performance the New York Times called "especially skillful". She has also been honored to originate characters in many new works, including Fatlinda Paloka in The Resistible Rise of Fatlinda Paloka and Ruth in 1918: A House Divided, for which she is featured on the 2009 release of the Original Cast Recording. Erin Leigh can also be seen performing weekly with ComedySportz New York, at the Broadway Comedy Club. She is a freelance Creative Thinker and a proud member of Actors’ Equity Association. Alicia first started in theatre creating live performances of Chuck Norris films with her twin sister. She can do a mean Louis Gosset, Jr. impression. Erin Leigh got hooked on theatre after multiple ankle injuries from dance persuaded her to try a creative expression that would result in less plaster casts. Lady pioneers of comedy, like Lucille Ball, Gracie Allen, Gilda Radner and Lady Elaine from Mister Rodgers. What is Ye Elizabeths about? 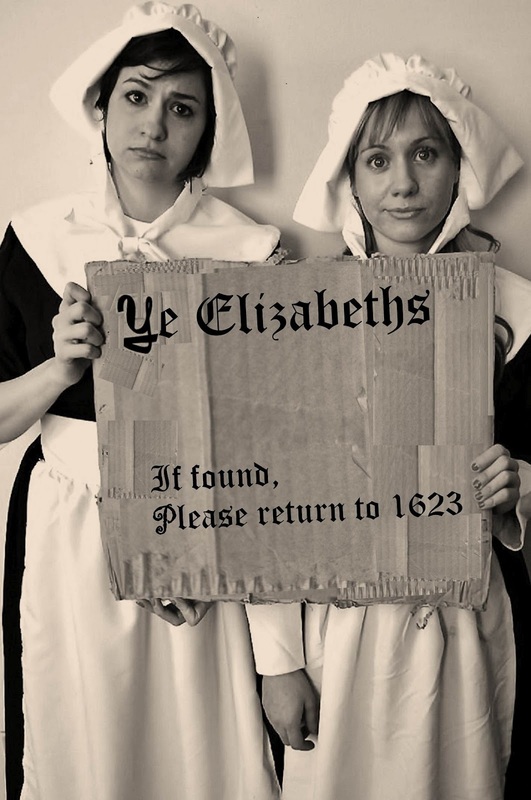 It is the story of two girls, who happen to be historical re-enactors, coming of age in a modern world. Inspired by how we make each other laugh and wanting to create silly, real and joyful characters, in order to reveal story, we started to collaborate on this writing project, exploring many many different scenarios, finally settling on a narrative about girls who were inspired by our American settlers. Our director, Leah Bonvisutto, our videographer, Jeremy Mather and our musical arrangers, Evan and Sarah Gregory are all dear friends of ours we are excited to be collaborating with on this project. They are super talented people we have worked and played with for many years. You gotta be the change you wanna see! Girls, Inc., because we believe in the power of girls helping girls. We are in the ideas stage of a future collaboration, exploring older American theatre and film traditions, like Vaudeville and Silent Film. Teleportation – So that we can meet actual Pilgrims and never have to endure morning rush hour on the subway ever again. For more information about Ye Elizabeths, visit http://planetconnections.org/ye-elizabeths/.